Words: a Basque carol, "Khanta Zagun Guziek"
Also found in Richard Runciman Terry, Old Christmas Carols. Part One. (London: Burns Oates & Washbourne Limited, n.d., ca. 1923), #8, p. 11. Rev. Terry notes: "Words unidentified. Melody Old Basque Carol ("Khania Zagun.")" 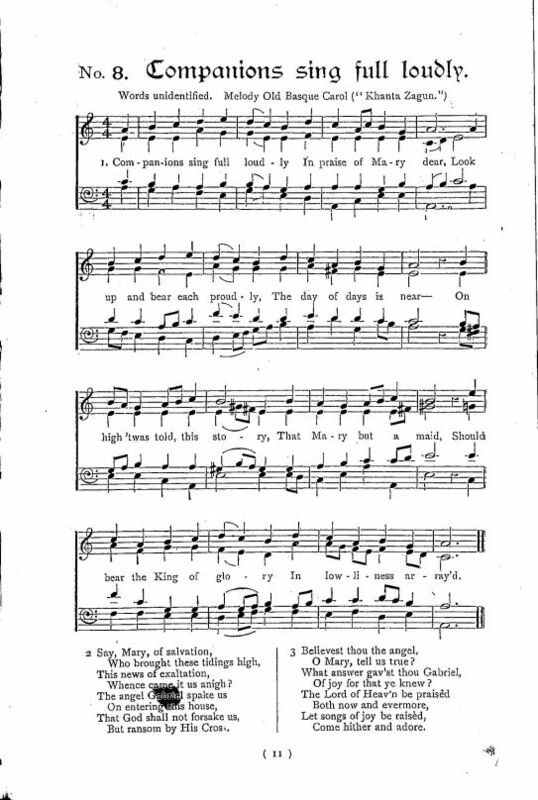 Verse 1, Line 1: Companions sing full loudly (vs. Companions all sing loudly). The day of days is near.